I have been working in the area of vehicle and traffic and Driving While Intoxicated (DWI) in one capacity or another since 1961 (not a typo). I spent twenty years as a New York State Trooper (retired); seven years as a part time City Court Judge in the city of Mechanicville, New York, and twenty-seven years as a practicing defense attorney with an emphasis on the vehicle and traffic law, and Driving While Intoxicated. When I first started my career as a trooper, the attitude of the public, police, prosecutors, court and the legislators was “There but for the grace of God go I”. It was not unusual for police officers to “take the drunk home”. This is understandable, since it was also not uncommon, when a DWI arrest was made, for the prosecutor and court to agree to a plea bargain, which at the time did not involve any impact on the defendant’s license. Through the efforts of groups such as Mothers Against Drunk Driving (MADD), Students Against Drunk Driving (SADD) and Remove Intoxicated Drivers (RID), the laws involving intoxicated drivers have been tightened and modified, and continue to be evolved to more accurately reflect the seriousness of the crime of DWI. The Department of Motor Vehicles (DMV) has implemented administrative changes to restoring licenses to individuals with multiple alcohol/drug related convictions. Applicants with two or more alcohol/drug related convictions within the past 25 years will no longer be eligible to have their license restored upon completion of the Drinking Driver Program (DDP) but will be required to serve the entire term of suspension or revocation. In the past, a motorist was able to have their license restored after completion of the DDP (possibly seven weeks) even if their period of suspension or revocation could be as long as a year or more. Applicants with three or four alcohol/drug related convictions or incidents within the past 25 years, without a Serious Driving Offense (SDO) and whose revocation does NOT result from an alcohol or drug related driving conviction or incident, will be denied re-licensing for two years in addition to the mandatory statutory revocation period and then will be re-licensed with a Problem Driver Restriction for two years. Okay, you’ve been convicted of an alcohol related motor vehicle violation. What happens next? Your License: Your New York license, or if you’re an out-of-state motorist your privilege to drive in New York State, will be suspended or revoked for anywhere from ninety days to one year, depending on the actual charge. 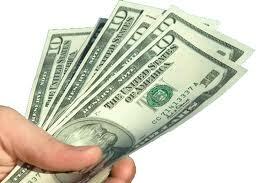 Fine: You will be expected to pay a surcharge, and a fine ranging from $300 to $1,500. The Department of Motor Vehicles announced administrative changes, effective 9/25/2012, regarding how to handle applications for re-licensing persistent DWI offenders. In prior years, the DMV would search back ten years and review the driving records of motorists who have made an application to be re-licensed after a DWI conviction. New York State’s Vehicle and Traffic Law (VTL 1193-1(b)) requires that everyone convicted of Driving While Intoxicated (DWI) either as a misdemeanor or felony under Section 1192(2) (2a) (3) must, among other penalties, install an Ignition Interlock Device (IID) for at least six months in any vehicle they own or operate. The IID must be installed within 10 days of sentencing. 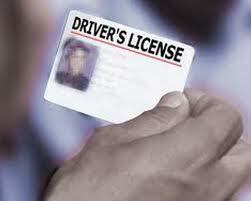 The convicted motorist is also required to surrender their New York drivers license to the court at sentencing. Courts generally grant what is called a “20-day order” which extends the motorist’s driving privilege for 20 additional days to permit them the opportunity to enroll in the Drinking Driver Program and qualify for a “conditional license”. In interpreting the provision for installing the IID within 10 days of sentencing to the issuance of a “20-day order” would seem to provide that the convicted motorist would have 20 days of extended full driving privileges and the first 10 days would be free from the IID requirement. This is not the case. Upon a conviction in New York for a criminal DWI charge (Misdemeanor or Felony), attorneys and their clients have become accustomed to having the court grant what has become known as a “twenty day order”. This gives the convicted motorist a twenty day extension of their driving privilege before the license revocation begins. This means the motorist could continue operating a motor vehicle for an additional twenty days to give them time to enroll in the New York Drinking Driver Program (DDP) and qualify for a conditional license. As a condition of sentence, the motorist convicted of drunk driving crimes in New York State (felony or misdemeanor) must be ordered to have an Ignition Interlock Device installed in all vehicles they own or operate. This condition will be in effect for at least six months, and can, at the discretion of the sentencing court, be for the term of a conditional discharge which is one year, or term of probation which is three years for a misdemeanor or five years for a felony. The Ignition Interlock Device provision is in addition to any other term of probation or conditional discharge. These additional provisions include, but are not limited to, license revocation, fine, jail term as specified in the following Penalties for Alcohol or Drug-related Violations New York State Department of Motor Vehicles chart. Who is Responsible for the Cost of Installing and Maintaining the Ignition Interlock Device? Who installs and Maintains the Ignition Interlock Device? New York State requires the installation of an Ignition Interlock Device in vehicles owned and/or operated by a person convicted of DWI. An experienced DWI attorney should be contacted immediately when a person is arrested for DWI. Installation and maintenance of the Ignition Interlock Device can be a condition of probation (five years for a felony or three years for a misdemeanor) or a conditional discharge (one year). The minimum requirement must be for a period of at least six months. What Do I Need to Know About New York State and the Toughest DWI Laws In the Country? Effective August 15th 2010, all persons convicted of a felony or misdemeanor Driving While Intoxicated (DWI) must have an Ignition Interlock Device (IID) installed on any vehicles owned or operated by the defendant as a condition of the sentence. 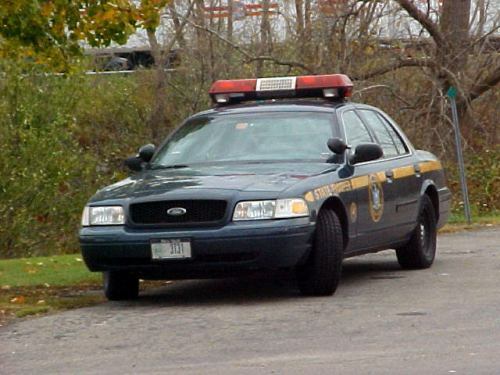 Since the enactment of Leandra’s Law, with a Zero-Tolerance Policy, and mandatory program of Ignition Interlock Devices for DWI convictions, New York State enforces some of the most severe drunk driving penalties. It is critical to hire an experienced and aggressive DWI defense attorney in Upstate New York to defend a drunk driving charge. An Ignition Interlock Device measures the Blood Alcohol Equivalent (BAC) found in a sample of a persons breath. 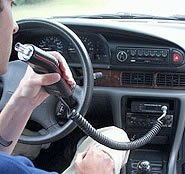 It is connected to the vehicle’s ignition which prevents the vehicle from being started when the Blood Alcohol Equivalent exceeds the level calibrated into the device. In New York State the Blood Alcohol Equivalent calibration level is .025%. The driver must also provide additional breath samples at random intervals to keep the vehicle running.